Getting back to nature is easy in the St. Simons and coastal Georgia region, with a variety of campgrounds and RV park facilities in the area. We've compiled all the campgrounds located in and near St. Simons, Brunswick, and Jekyll Island to make it easy for you to find the best camping facility that meets your needs and budget. Located on White Chimney River, campground offers boat rental, store, charter fishing, boat lift, hunting tours. Close to Jekyll, St. Simons and Cumberland Islands. 105 Sites to accommodate large RVs ranging 60 to 75ft and 35ft wide. Amenities include electric hookup, picnic table, grill, water/sewer, cable TV, wi-fi, laundry rooms, supply store, swimming pool, fishing pier, paddle boats, pavillion, conference room, outdoor fire pit, game room, playground, horseshoe pits, shuffleboard court, and bark park. RV Park and overnight campground. Cable; paved pull through parking; full hookups (no extra charge); clean rest rooms; beautiful shade trees, very convenient to 65 unit outlet mall. Situated midway between Savannah and Brunswick in Townsend, Georgia, Lake Harmony Rv Park must be seen to appreciate its beauty. Although conveniently located just 6 tenths of a mile off I-95, the park is quietly nestled within 60 wooded acres. Here is nature at its finest! Tall Southern Pines and hardwood trees draped in Spanish moss surround the crystal clear spring fed lake. Lake fishing, lake swimming, boating and bird watching are some of the camper's favorite activities. Groups 15-25 people may camp near the beach on Sapelo's Cabretta Island. Comfort station with hot showers available. Sapelo Island is accessible only by passenger ferry; reservations are required. Offers RV and tent camping facilities. Restrooms, showers, laundry room, picnic tables, paved roads. Located near major outlet mall "Prime Outlets" and Darien's Historic District. Boat rentals, ice, bait, tackle, swimming area, picnic facilities, boat ramp, fishing, fishing and hunting licenses, camp store, bathhouses, playground, rustic surroundings, pets allowed on leash. Full hookup and tent sites available. Public marina; ice, bait and gas available. A 1,100 acre public park developed and managed by Glynn County with the help of Georgia's Department of Natural Resources. 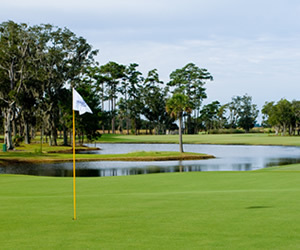 Located just 5 minutes from Exit 29 on I-95 between Savannah and Jacksonville, the park is surrounded by attractions such as St. Simons Island, Sea Island, Jekyll Island, wonderful restaurants, great shopping, and award winning golf courses. In addition to camping Blythe Island Regional Park offers picnic pavilions, a playground, a fresh water lake for swimming and fishing, and a marina and dock to access the South Brunswick River. New pool. Variety store, laundry, showers, horseshoes, shuffleboard, volleyball, playground, TV lounge, modern hookups, video rental, restaurant, ice. Pets allowed. Located on a high bluff overlooking the Altahama River Basin. Amenities include cable and wi-fi, full hookups, clean rest rooms, shade trees, and an outlet mall nearby. Jekyll Island Campground offers 18 wooded acres on the Island's north end with 199 campsites, from tent sites to full hook-up, pull through RV sites with electricity, cable TV, water and sewerage. 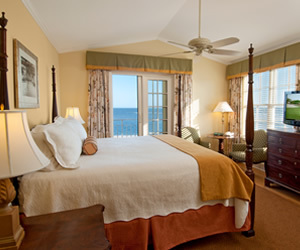 For more information, please email campground@jekyllisland.com or telephone 912.635.3021.